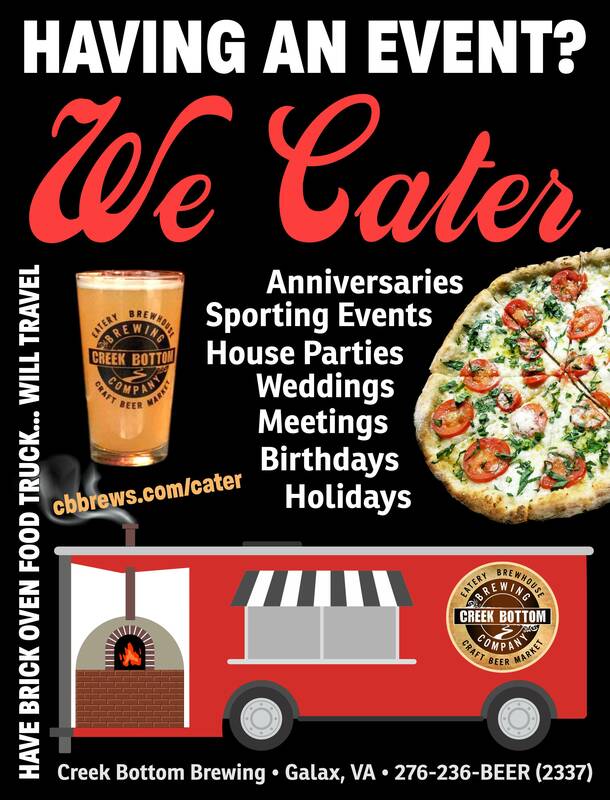 Let Creek Bottom Brewing cater your next event. We’re flexible… we can go as big or small as you’d like. We even have a brick oven food truck that we can hitch up to your big party! There’s a banquet room in our location on Country Club Lane in Galax, we have an awesome covered deck as well for the warmer months. Let’s talk brews… we can supply the beer for your off-site event as well. We can guide you through the event licensing process and then serve the beer to your guests. Call us to discuss a plan for your next event!